Located on the grounds of the world famous Sanctuary Resort, this home is one of the most stunning properties in the Valley. 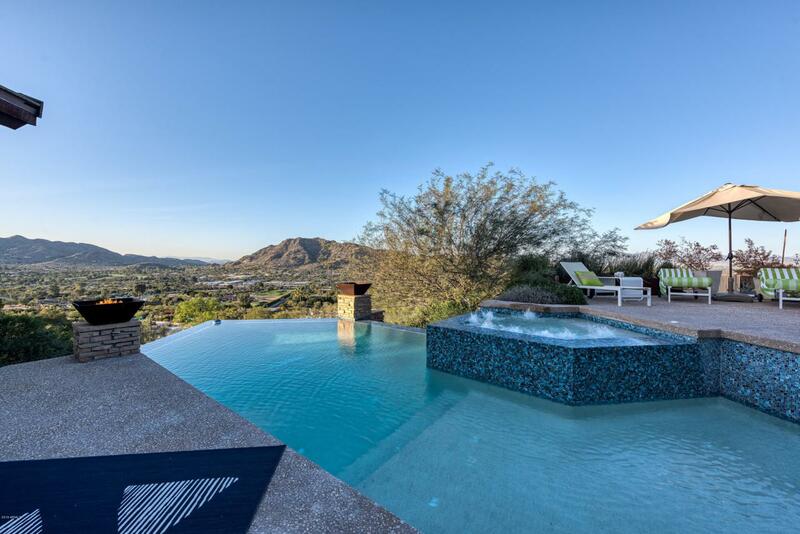 The soft contemporary remodeled home brings a sophistication & warmth while maximizing the phenomenal views. The open layout of the great room offers walls of glass to create panoramic city & mountain views. The kitchen is sleek & modern w/top of the line appliances. The guest bedrooms each have a private sitting area creating 2 room suites. A flex room can be used as a fourth bedroom or used as an exercise room or office. The views can be seen from every room & the home maximizes indoor/outdoor living with a completely renovated private pool/spa & multiple sundecks for dining, relaxing & entertaining. The home also features a theatre, wine wall & separate office.